The New Museum’s high-profile ideas festival that explores the future of cities with culture as a driving force. Through conferences, workshops, commissions, projects, and exhibitions, IDEAS CITY is a collaborative, civic, and creative enterprise that investigates key issues, proposes solutions, and seeds concrete actions. IDEAS CITY builds on the New Museum’s mission of “New Art, New Ideas” by expanding the Museum beyond its walls into the civic realm. As Director of IDEAS CITY, Grima will oversee the project and develop a blueprint for its growth over the coming years. When IDEAS CITY began in 2011, there were few conferences on urban futures and none sponsored by a museum. During its relatively short life span, IDEAS CITY has grown into a unique and robust platform that addresses some of the key challenges and opportunities facing cities around the world today, with the belief that art and culture are essential to their future vitality. Partnering with like-minded cities that believe culture is fundamental to urban growth and innovation, the initiative has been taken global over the past two years with IDEAS CITY: Istanbul and IDEAS CITY: São Paulo in 2012 and 2013, respectively. The next IDEAS CITY Festival will take place in New York in late May 2015. 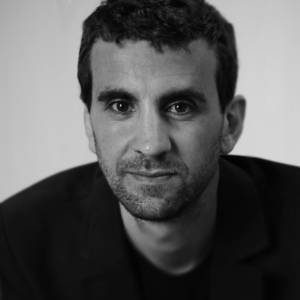 Grima is a leading editor, critic, and curator of architecture, design, and urban issues. From 2007 to 2010, he was Director of Storefront for Art and Architecture in New York City, where he expanded international programming and supported experimental projects in both art and architecture. In 2011, he was named Editor of Domus and built a significant online presence for this leading architecture and design magazine. Grima was co-curator of the first Istanbul Design Biennial in 2012 and will be co-commissioner of the first US architecture biennial, scheduled to take place in Chicago in October 2015. He is the author of several books, including Instant Asia: Fast Forward through the Architecture of a Changing Continent (Skira, Milan, 2008), a critical overview of work by young and emerging architecture students in Asia, and has published essays and articles in a number of journals and magazines, including AD, Abitare, Domus, Tank, Urban China, and Volume. He is also the founder of Space Caviar, a design and research collaborative based in his hometown of Genoa, Italy. “We are delighted that Grima will join the stellar team at the New Museum to lead IDEAS CITY to its next phase. Grima has been part of IDEAS CITY since its inception, as an advisor, participant, moderator, and, in 2013, guest curator of the seminal design exhibition ‘Adhocracy,‘ which he adapted for the New Museum from its original presentation at the Istanbul Design Biennial. His future-forward attitude and international breadth of knowledge will help take IDEAS CITY to the next level,” said Lisa Phillips. Image: Joseph Grima. Photo Gaia Cambiaggi, Courtesy New Ideas City Museum.